“Petal” brooches are one of our bestsellers. They are made from natural crystals and are available in different colors and variations. 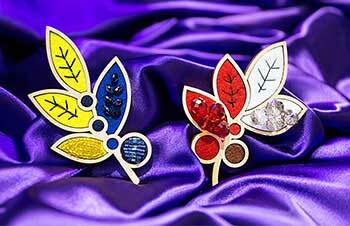 These stylish brooches suit both for casual looks and special occasions. For more information visit our online shop. These green earrings from natural crystal are perfect solution to emphasize your individual style. You can wear them for different occasions and shine with your uniqueness and elegance among surrounding people. Make your choice to be in the center of attention. For more information visit our online shop. FashionDrug holiday necklaces are important items to have in your wardrobe. 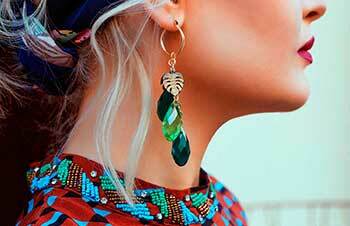 These attractive and colorful jewelries are excellent attributes for your evening style and image which will help you to have a magnificent look. For more information visit our online shop. FashionDrug multicolor bracelets are good addition to your overall look. You can choose among great variety of seasonal bracelets from natural crystal, leather and fur, combine it with the appropriate clothing and make your image complete . For more information visit our online shop.